Travel Minis You Need In Your Stash. | By Millie. So I've been on a couple of trips over the past month or so, and I have a few more before the year is up. I'm a real 'only travelling with hand luggage' convert as of late, and with that comes the issue of packing my entire beauty routine into a little plastic zip lock bag. Luckily for me, my boyfriend who I normally travel with basically packs a deodorant and aftershave, so I can always shove some in his bag too. Thank god for low maintenance men eh? Travel minis are adorable, and I'm quite the hoarder. I always keep them from beauty boxes, gifts with purchases etc etc, and I love collating a little bag together when the time comes. Anywho, I feel like this may be a long one so lets get into it! Skincare: I'm not going to cover everything I use/take with me, but these are just a few bits I feel like would be great for anyones travel beauty stash. I have normal-dry skin which can get a tad oily in the summer, so the following products work great for me. Omorovicza Queen of Hungary Mist: This is a gem of a product to have with you when travelling. On the plane, on the way to your hotel, after a long day in the sun, this will literally make your skin feel amazing despite the environmental challenges. The mist is super fine - so it's easy to go overboard - and the scent is a lovely rosy spa kind of smell, very comforting and relaxing. I love how this makes my skin feel after sitting on a plane, it's the hydrating boost it desperately needs. The full size is hella pricey, so I'd definitely recommend picking up this mini regardless of if you're travelling or not. Clinique All About Eyes: I'm a huge Clinique skincare fan, and since getting their Christmas advent calendar last year, I still have a few minis floating about. This eye cream is fab for hydrating and giving a good base for makeup. I'm not too fussy with eye creams - I mainly look for something lightweight which offers a good dose of hydration. This ticks those boxes so into the travel bag it goes! Makeup: I always pack way too much makeup when I go away, I just like to have options...I can find base products take up so much room, so I'm thankful to have a few minis I can take instead of the full sizers. Charlotte Tilbury Wonder Glow: I love this product for everyday use. It sits wonderfully underneath foundation, and gives the skin a lovely lit from within glow. I can be quite heavy handed with this, but it never looks to disco ball like! Erborian CC Cream: This is very new to my stash, but I love it for that effortless summer makeup look. It's not a stand out as far as coverage goes, but the feel and finish is lovely and very natural. It comes out the tube as a white cream with little grey beads in, it will then blend in with your skin tone to even and cover the skin. This smells very heavily of suncream which is interesting...buuut it has SPF25 so thats a bonus I suppose. Benefit Hoola: This is the cutest little bronzer ever. Hoola is such a classic product, it's a beautiful bronzer which adds such a nice amount of warmth to the skin. It's matte, so you can use it as more of contour as well. The mid-tone brown works great for my skin, even when I have a bit of a tan. It Cosmetics Superhero Mascara: I got this as a free sample when I purchased the CC cream from Selfridges, so it's definitely worth asking for one of you too are making a purchase! I love love love this mascara, it's quickly become one of my all time favourites and I'm 100% going to be picking up the full size. It gives the lashes so much volume, but separates them too and makes them look amazingly defined a fluttery. It's the perfect mascara if you want a bit of everything, and it doesn't smudge! It's not a waterproof formula, so if you are in and out the pool, or at the beach with this on, I would be a bit careful. Hair: My hair can really take a battering when I'm away. Being exposed to the sun, and in a out of the pool it can leave it quite damaged and lifeless, so there a couple of bits I like to have on hand to combat that. 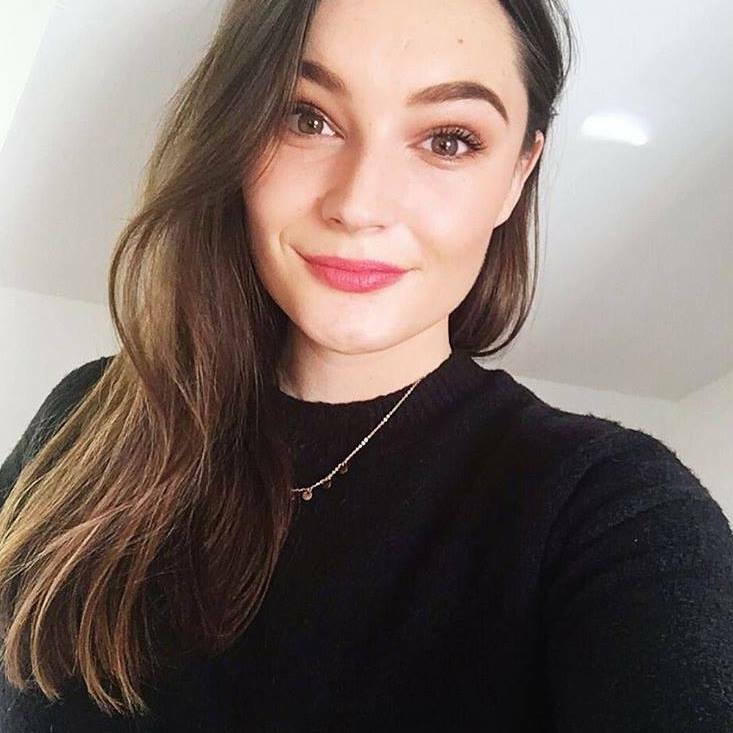 Living Proof Perfect Hair Day Dry Shampoo: I'm never without a dry shampoo, my roots can get really oily at times, especially if I'm sweating it out in the heat - nice image there Millie... This is the one I currently have, it's really nice and does the job, but I think I'll just purchase the classic Batiste next time as it's only a couple of quid. I do like the Living Proof Perfect Day Hair range mind, they all smell lovely and fresh and leave my hair feeling healthy and clean. 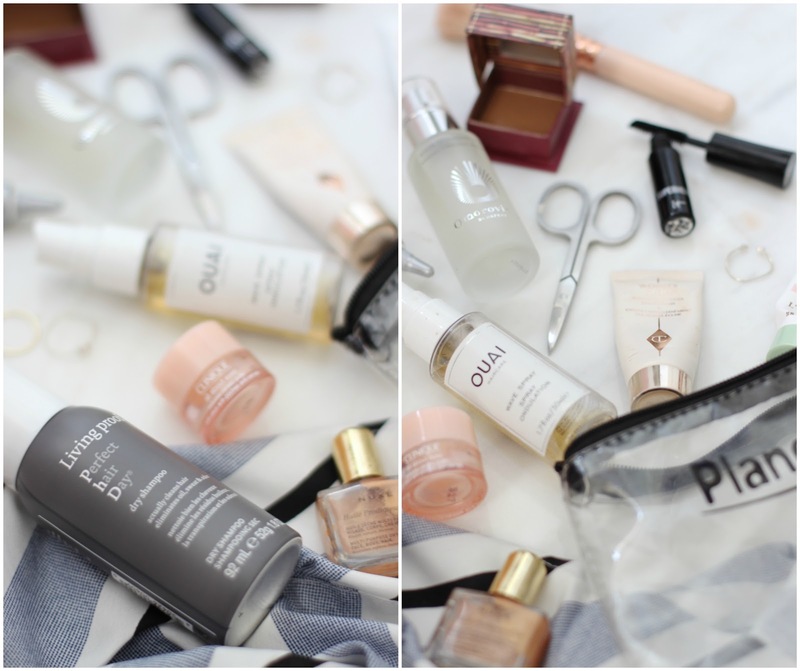 Ouai Wave Oil: I love this, it's the perfect holiday hair companion. It smells like summer, and this will give you those beachy hair vibes we all crave. I tend to pop this on damp hair and I don't find it drys crispy at all. If you're using it on dry hair, use it sparingly as it can make your hair ever so slightly stiff and it kind of feels like you need to wash it out straight away. A couple of spritz on your lengths and ends will do the trick, and leave your locks beautifully tousled. Body: I'm all about supple, nourished skin the summer. I hate having dry skin, especially on my arms and legs, so I will always spend some extra time in the evenings making sure everything is as moisturised as can be. Nuxe Golden Shimmer Dry Body Oil: I really love Nuxe as a brand, they do body products extremely well, and they all smell amazing! This is a lovely body product to use in the evenings before heading out for dinner. If gives a gorgeous glow to the skin, as well as adding a touch more bronze to your limbs. To be honest, I don't really tan very well, I'll go a few shades darker but nothing crazy, so products like this are great for faking it. I will apply this after I've got dressed, but it doesn't transfer or sit on the skin. L'Occitane Almond Body Concentrate: I have the full size of this too, and it's one of my favourite body moisturisers. It's so super moisturising which is exactly what my skin needs after being the sun all day, it also smells divine as the name would suggest. Their body range is fantastic, and I'd highly recommend picking this up of you haven't tried it already. It sinks in beautiful and leaves you smelling, and feeling, great!